Custom Fleeces can be used for a variety of scenarios are idea for helping you to keep warm but also comfortable. Fleeces also come in a variety of styles including men's fleeces, ladies fleeces, full zip fleeces and gillet fleece jackets to name a few. With increasing brands now offering a variety of colours and options both men and women, we are sure to have a solution that is ideal for you. Walking outdoors is becoming increasingly popular as a hobby and fitness activity. Embroidered walking fleeces and hiking fleeces when belonging to a walking group will create a feeling of unity whilst helping to layer up for those harsh weather walks through the moors and countryside. Half zip and quarter zip embroidered fleeces are an ideal option to help with winter layering. Also ideal for a mid layer piece. The female designs help create a more flattering image whilst helping to regulate body temperature too. 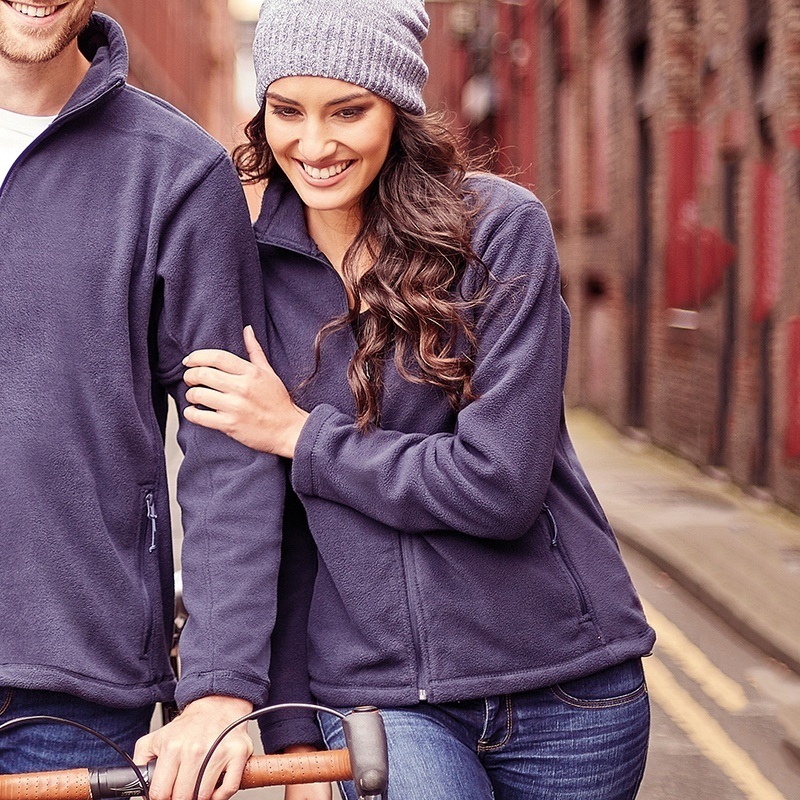 Workwear Brands such as regatta work fleece and snickers work fleece are among some of the more well known names that you may be familiar with however there are several other options for your customised workwear fleeces which we can now offer you. Custom full zip outdoor fleece for embroidery provides your colleagues with warmth, style and comfort when performing their duties during outdoor sporting events or occasions. Men's personalised full zip fleeces and womens work fleeces with logo embroidered are a good option for drivers that may need to layer up for colder driving days or need to work in a refrigerated environment. Bulk custom fleece jackets can be prodiced whilst offering the flexibility in different colours for different departments and also for different staff sizes too . Let's Get Started With Your Custom Fleece Jackets Request! Click on the blue button to get started with your custom fleece jackets enquiry and just let us know what you have in mind and we will get back to you as quickly as possible.